Demon Gaze II's full release in English is just around the corner, and NISA (the publisher in the west) has been kind enough to allow us to go hands on with the game. Demon Gaze II is notable as the first Japanese dungeon crawler on the PlayStation 4... and from my first couple of hours with it, it's incredible. Related reading: An interview with the creators of Demon Gaze II from Tokyo Game Show this year. The original Demon Gaze, exclusive to the PlayStation Vita, was notable for a couple of things: Firstly, it's a gorgeous game. On the Vita's relatively small screen, the big, colourful sprites and vivid dungeon design made it an instant standout. On the PlayStation 4, the art is even more noticeable, with enemy designs that really fill the screen with colour and energy. Every single enemy I've come across so far has been fundamentally interesting, simply because every part of them has been drawn with real imaginative creativity. This game might not have photo-realistic 3D character models or open worlds with endless draw distance, but what it has going for it is its art direction. There aren't many games that look better than it. Demon Gaze was also a curious dungeon crawler in that its narrative was not throwaway. Most dungeon crawlers either forgo a narrative completely, or alternatively go all out with the humour and fanservice. It's not a genre that is necessarily associated with quality narratives. Demon Gaze bucked that trend through with a story that was very anime, but had a real point to it. Demon Gaze II is setting itself up to do that even better. I'm not going to give anything away, but it's story in which the protagonist joins an underground resistance force to a city being ruled with an iron fist (and army of demons). The fascist-style leadership, through the propaganda imagery strewn through the environment, and the way that the resistance does their work (via a radio station to fight propaganda with propaganda) is immediately interesting, and from my first five hours with the game so far, it's intriguing. There are moral questions being asked, characters have motivations that seem to be at odds with the purity of the cause, and your own character has near complete amnesia. Admittedly it's tropey - especially the amnesia bit - but it's executed in an interesting and really well written way. Combat is clean and enjoyable, being both familiar for anyone who has played a dungeon crawler before, and yet promising plenty of depth. In Demon Gaze, as you defeat powerful boss demons, they join your side, and you can summon them into battle. Each demon has different abilities, both inside combat and when exploring the overworld, and you'll need to utilise all their skills to make your way through the game. What seems a little short at this stage is the difficulty. When I was speaking to the Demon Gaze II producers at Tokyo Game Show this year, they mentioned that they wanted the main narrative to be more accessible to people, and worked on refining the difficulty so that fewer people would quit the game. So far, Demon Gaze II is very, very easy. I'm playing on the middle-tier difficulty setting, and not being pushed at all. This is unusual for dungeon crawlers, and people do usually go into these expecting a tough, retro-style challenge. I'm not sure how the opening will sit with 'crawler veterans for that reason. I am promised that the game's difficulty does escalate, and there are optional dungeons in the end game that will really test a player's 'crawler abilities, but obviously I haven't had a chance to check that out yet. I've also recorded a short video looking at the first dungeon, which you can see above. As it's only the first dungeon there, it's fairly straightforward, but I can confirm having played on a fair bit from there that the dungeon designs don't take long to ramp up in complexity. Demon Gaze itself had lovely, intricate level design that really tested a player's puzzle logic, and this one looks set to do much the same. Thankfully, random encounter rates are set a a comfortably low level so you can explore the environments without getting too frustrated. 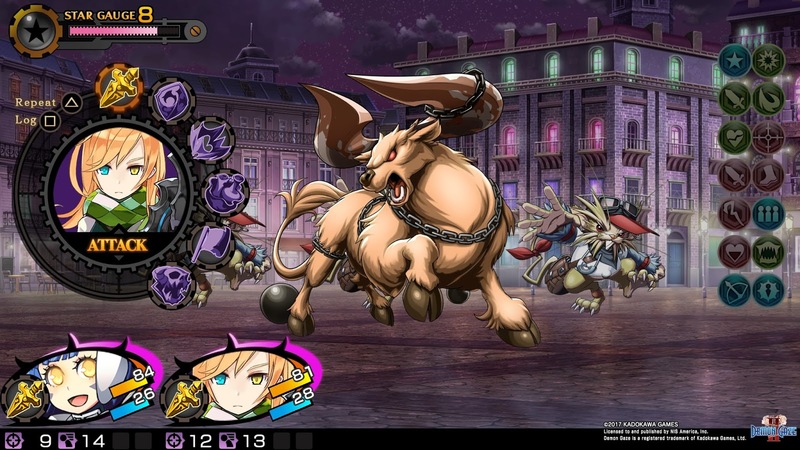 Related reading: Matt's review of the original Demon Gaze on PlayStation Vita. I'm really hooked on Demon Gaze II. 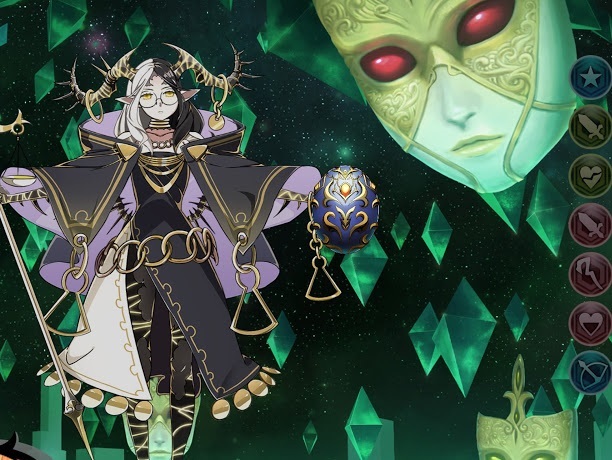 I love the dungeon crawler genre - especially when it comes out of Japan, and when I think over the last decade of the genre, it is Demon Gaze, the Etrian Odyssey series, and Persona Q that have stood out as the masterpieces. As far as I can tell from the time I've had with the game so far, Demon Gaze II is not only living up to the standard of its predecessor... it's exceeding it.